While many enjoy the look of marble countertops and surfaces in the home, the porous nature of this stone makes it susceptible to staining. However, most stains can be removed from marble with common products. Hydrogen peroxide works as a marble cleaner for food and other protein-based stains. Peroxide is a neutral cleaner that will not scratch marble. 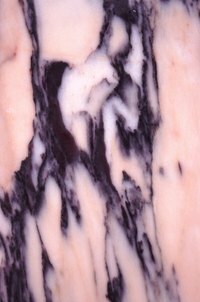 The liquid should be used on light-colored marble only; use other neutral cleaners for dark marble surfaces. Remove dust and obvious debris from your marble surface with a soft cloth. Pour 1/2 cup of hydrogen peroxide into a gallon of warm water. Spread the solution over the surface with a soft cloth. Use the cloth to rub the mixture into the marble. Add more peroxide if needed for stain removal. Use a soft cloth to dry the marble surface.